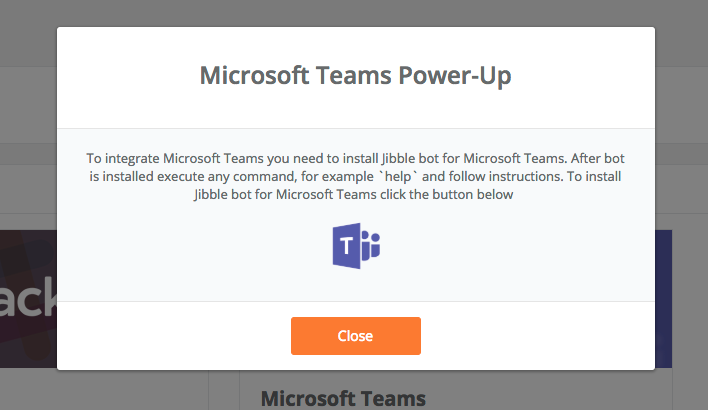 How to use Jibble in Microsoft Teams? Team Owner permissions in MS Teams of your channel. This is the easiest way to get everyone using Jibble. You can also click on this link, then follow instructions from 2 b. below. 2. You will be guided to the Microsoft Teams website and asked to launch Microsoft Teams. From that page click "Open Microsoft Teams" to get started. 4. Select a channel where you want to use the Jibble App. In the example below we post to the General channel. You could also change the channel later by just running through the Microsoft Teams setup process again which as you'll see doesn't take long. Your Microsft Teams Integration is now complete! 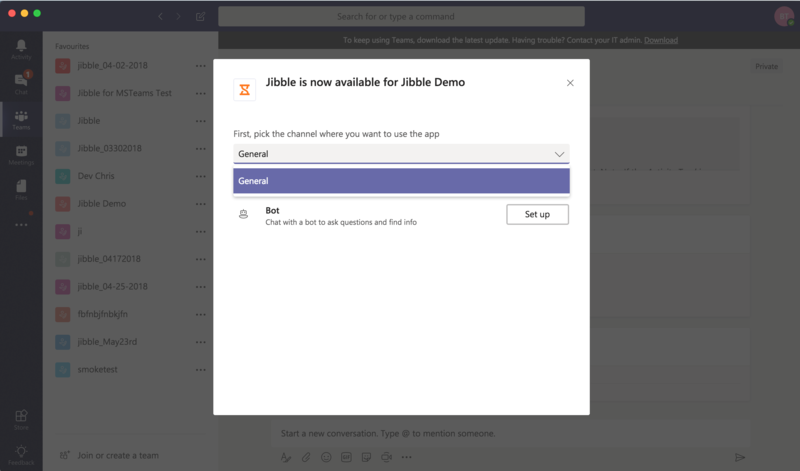 A Microsoft Teams user can only use Jibble if they have been added to the Jibble web app. You can add users through the web app: How do I add users to my team?, or from Microsoft Teams through the invite command. 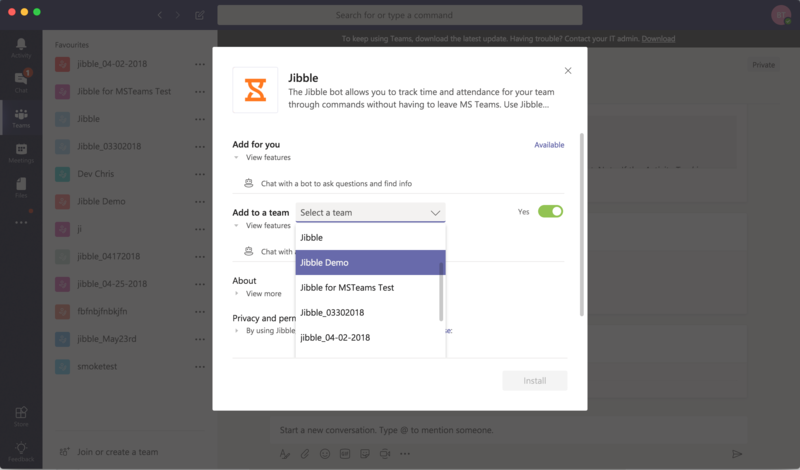 Users can also add themselves from Microsoft Teams. A person who simply tries to use one of the Jibble commands will be prompted to join Jibble and will get directed to the web app.